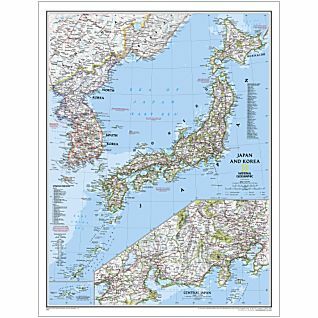 This map of Japan and Korea, which conforms to National Geographic's demanding standards of accuracy and cartographic detail, shows political boundaries, major roads, cities and towns, airports, and other geographic details. An inset provides a more detailed map of central Japan. 30" x 23"